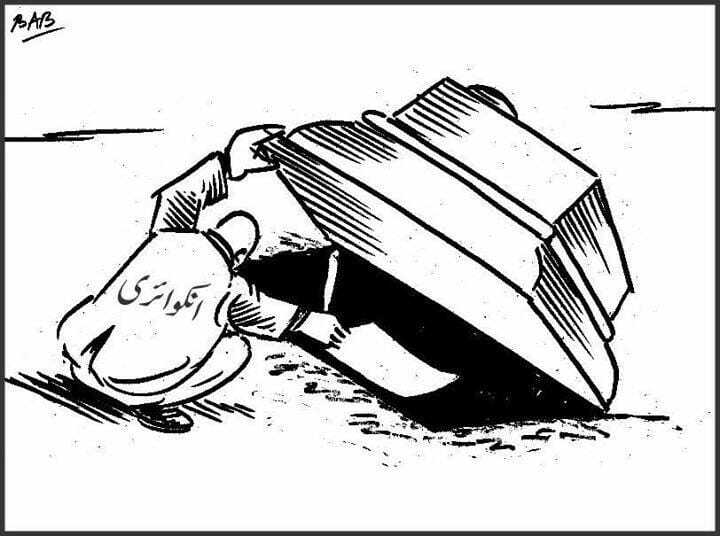 Srinagar: – A cartoon by the legendary cartoonist of Kashmir Valley, Bashir Ahmad Bashir, in a local daily is an apt representation of what an ‘inquiry’ means when it comes to probing any killing by the hands of Armed forces in this restive state. The cartoon shows inquiry report being buried in the grave along the body of a local teacher, who was allegedly killed inside Police custody by the Special Operations Group (SOG) of Jammu and Kashmir police on Tuesday. 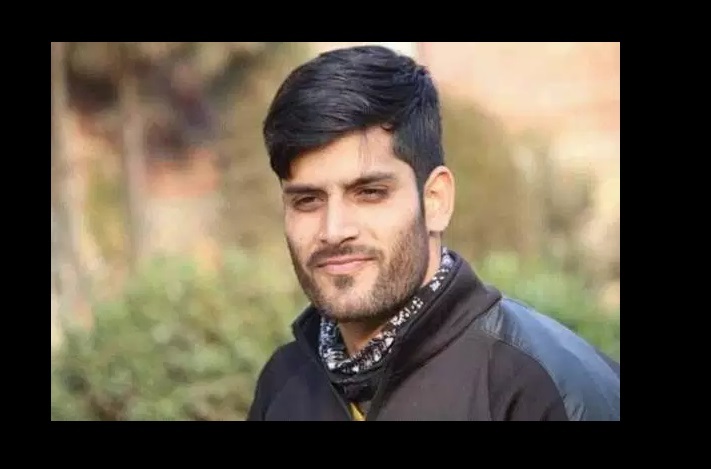 Rizwan Asad Pandit, 30, a resident of Awantipora in south Kashmir’s Pulwama district was picked up by J&K Police in late March 17 during a raid at his family home. He was shifted to Cargo-a counter-insurgency police camp located in Srinagar, where he was allegedly killed. According to a report compiled by International Federation for Human Rights (FIDH) in collaboration with Jammu Kashmir Coalition of Civil Society (JKCCS), a copy of which lies with TwoCircle.net shows that between January 2008 and December 2018, 107 enquiries were ordered by the Jammu & Kashmir government. The highest numbers of enquiries were ordered in 2009. Out of 107 inquiries, no one has been prosecuted or held accountable. Human rights experts say Kashmir is the history of “unfinished probes and hallow enquiries” where justice continuous to be a causality owning the special powers to government forces. “Ordering probe after the killing has become a joke now. In the last three decades, hundreds of probes were ordered to enquiry the killings and disappearance but the recent report of the US has made it clear that not a single soldier has been punished,” said Kashmir based human rights lawyer Parvez Imroz. While referring to the killing of the teacher in custody Imroz says, these types of killing happen because nobody in the past held accountable and punished for their crimes. “Not a single soldier has been punished from last 3 decades, if the action would have been taken against the perpetrators then yesterday’s incident wouldn’t have happened,” he says. According to data, on Nov 22, 2008, two teenagers were killed and seven injured in north Kashmir’s Baramulla when a Personal Security Officer (PSO) of a Congress candidate and CRPF men opened fire at people protesting against the elections process in the State. The then Deputy Commissioner Baramulla Baseer Ahmad Khan ordered a magisterial inquiry into the firing incidents but 11 years have passed no one has been punished. On Dec 3, 2008, a 13-yr old in Kokernag area of South Kashmir was allegedly “gang-raped” by troopers of 33 Rashtriya Rifles of Indian Army. 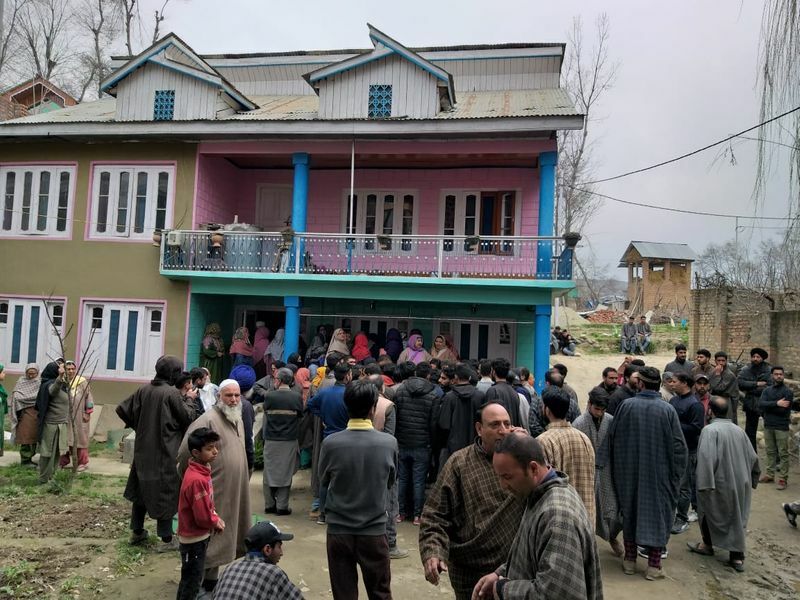 On next days, the additional deputy commissioner, Anantnag, Bashir Ahmed Khan said that administration has ordered a magisterial probe into the incident and have asked the concerned Tehsildar to investigate the matter and submit his report within three days but in this case also, more than a decade has passed no one was punished. On May 18, 2009, a youth, Manzoor Ahmad Beigh from AluchiBagh, Srinagar city was killed in custody personals of SoG of J& K police. After few days Deputy Commissioner ordered an inquiry into the killing but that too are on papers only. Parvez believes that Government of India is not serious about these gave human rights violations. He says the government orders probe just to divert the attention of public anger. “People here have lost faith on the probe as they don’t have credibility now,” he added. Parvez says Govt knows there will be some other incident after some days and that incident will overshadow their incident, media’s attention towards a particular case is always not there. “So this is a continuous process from years and it will continue, nothing will happen,” he added. A PhD scholar from the University of Kashmir argues that laws like Armed forces special power act (AFSPA) made for the Indian security forces have given complete impunity to soldiers to do “whatever they want”. “You see a young man is being picked up from his home and you say he dies in the custody. For God’s sake, how can he die, until you didn’t torture him?” asked Arshad Hussain. For the family members of Rizwan, they are added in the list of those who are waiting for the justice of the kins. Like others, they have no hope on Police and their inquiry. “What kind of inquiry are you talking? Should we expect justice from those who picked-up and then killed our brother in the custody,”? questioned Zulkarnain Asad, while talking of TwoCircles.net on Phone. Zulkarnain further added that they don’t expect any justice because it was never served in Kashmir. 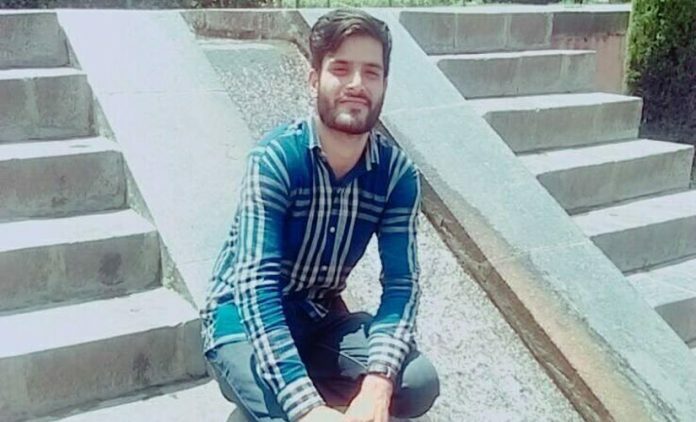 Irfan Mehraj, a researcher with JKCCS is of the view that inquiries in Kashmir are been ordered as a pre-emptive measure to cool down public anger against human rights violations. He says not a single enquiry has lead to the prosecution of perpetrators and some like ML Koul’s report on civilian killings in 2010 agitation have not even been made public. “It seems enquiries too have been used as a tool to further deny justice to Kashmiri victims of human rights abuses,” Irfan said. It is pertinent to mention that the “custodial killing” of the Rizwan came at a time when the US Department of State released a report on the human rights situation in Kashmir, saying that no prosecution of accused soldiers has been allowed for 28 years. According to a report, GoI failed to prosecute any soldiers as the Armed Forces Special Powers Act (AFSPA) has been present in the state of Jammu and Kashmir. Noted Human rights defender Khurram Parvez says India has repeatedly failed to deliver justice for the last 28 years in all the cases here and that is why people are asking for International intervention and enquiry to probe all the cases. “Even United Nations (UN) last year in its first-ever report asked Govt to appoint a commission of enquiry to probe the human rights violations,” Khurram says.